Aletheia. Dance, Inc.™ (Aletheia: al-ay'-thi-a) is a performing arts organization that caters to the needs of families and students that are facing any sort of barrier that prevents them from experiencing the dance art form. The program gives everyone the opportunity to learn high quality dance technique and performance. OUR MISSION: To raise upright individuals by making performing arts and character education accessible to everyone. OUR VISION: To be a high quality educational program that builds into each student’s self-esteem and discipline, invests life skills and ethics, and increases their range of motion, creativity, and spirit man, with a willingness to serve others, in hopes of becoming a professional dancer, actor, or a "whole" person with a promised future. OUR DREAM: To become an upscale, high quality, performing arts ministry and outreach program for underprivileged youth and adults with an excellent academy for training and a performance company that ministers across the globe. The Greek word for truth is aletheia. Why Aletheia? With God’s truth, His creation is perfected. Aletheia is for the fatherless and abandoned, rejected, and those that desire to dance but are challenged with financial, time, and cultural barriers. Any form of rejection or abandonment sometimes produces a bad seed that creates lies that are unconsciously believed. Aletheia will show the Father’s unconditional love by building into each aspiring dancers’ self-esteem, discipline, desire, range of movement, and technique. It will restore hopes and dreams that were once thrown away, and send them off as dancers and actors with perfect technique, artistic ability, and purpose. It's with God's words of truth and through His love, power, and might that every dancer is restored and perfected. Aletheia is to stretch dancers artistically in creativity and technicality, and spiritually. It is high quality art with the message of truth. 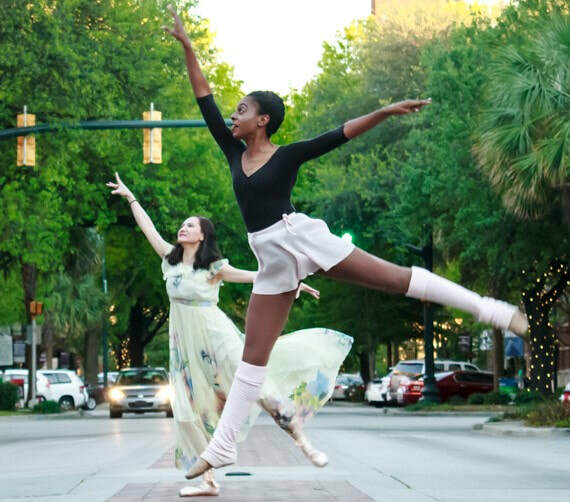 After intensive training, Aletheia dancers will present works that reflect God’s truth and perfect beauty during our end of the year performance.